UK Sole Agent Unique outright properties on the Lake Geneva. 3 minutes from the city centre, The residence enjoys a quiet area, between lake and mountains. The funicular and bus lines provide easy access to shops, facilities and educational institutions. Consisting of two buildings erected on only two floors, The residence plays the card of refinement and authenticity. Of contemporary appearance, the residence integrates perfectly into its environment. With its clean forms and its palette of soft tones, it is discreet to leave room for a sumptuous setting. Green spaces reinforce a feeling of well-being already favoured by a harmonious and open to the outside. TO LIVE OR INVEST IN 32 units in this residence are designed for comfort and functionality. 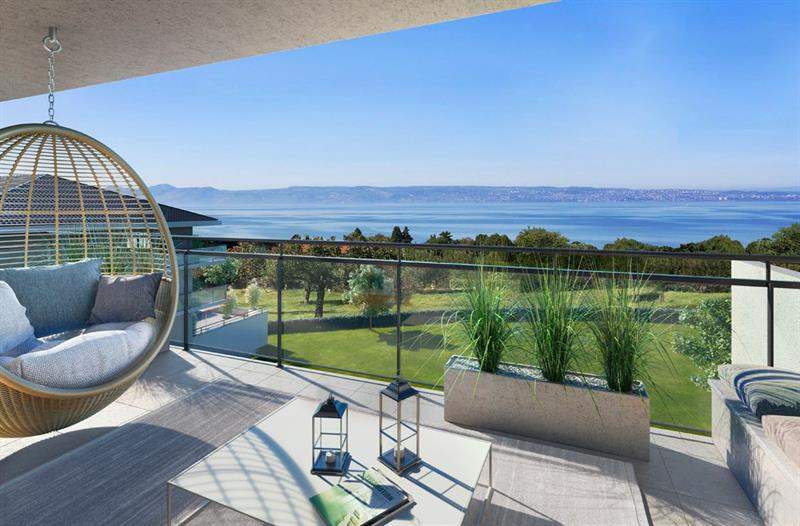 Their spacious living rooms open onto generous balconies, terraces or private gardens and invite to stop for a moment to enjoy the benefits of outdoor life.